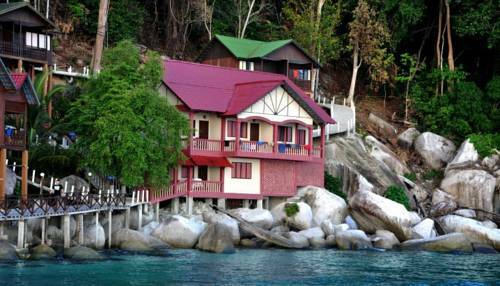 Panuba Inn Resort is located on a private bay, up north of Tioman Island that’s off white sandy beaches, fascinating marine life and turquoise sea. 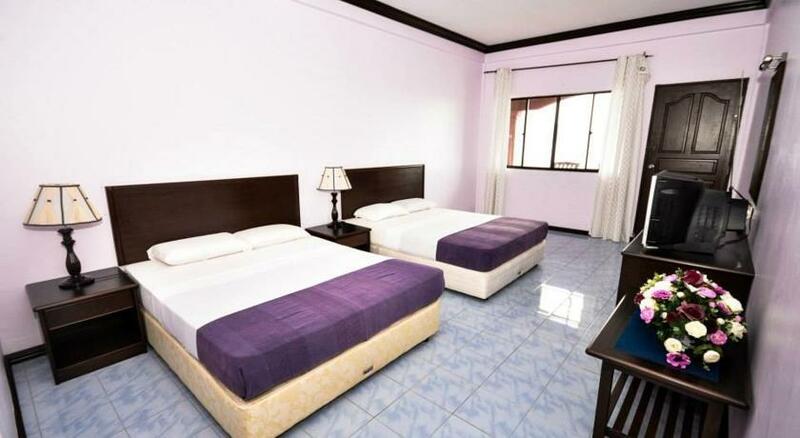 Situated in 2 acres of beautiful forest on a hill side with far reaching views of the sea .Nearby to any attraction/places of interest While the resort itself is in a very peaceful location .Plenty of activities can be found from famous Scuba diving, snorkeling, sunbathing, swimming and jungle trekking. The wooden chalets are built on stilts at a hill surrounded by coconut trees and flowering plants. Additionally there is double storey brick house with very comfortable rooms right on the beach (room type SD). You get to Panuba Inn Resort either by a steep path that heads in 15 minutes from ABC Village or by ferry that land at Panuba Jetty. To visit other beaches, you may hire a sea-taxi at reasonable prices.